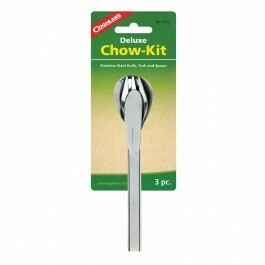 Buy Deluxe Chow Kit - (Knife, Fork & Spoon Set) , from Coghlan's Ltd for $3.99 only in My e-commerce. 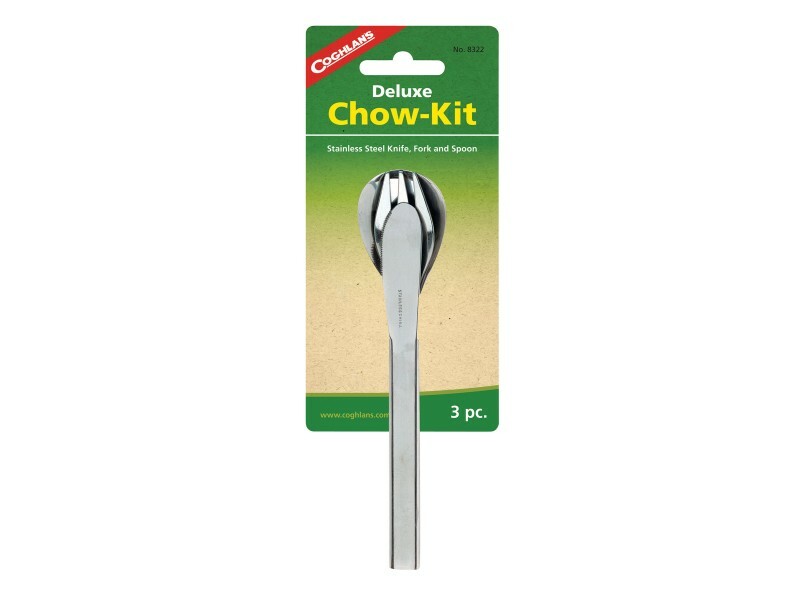 Individually poly bagged three piece stainless steel knife, fork and spoon set. Slide together for easy storage. Comes with a reusable pouch.